When you think of robots, you might picture a vaguely human-like machine marching around in a futuristic setting or perhaps you think of a massive arm swirling around objects on an assembly line. A new generation of robots has come on the scene and is growing in numbers and capabilities. 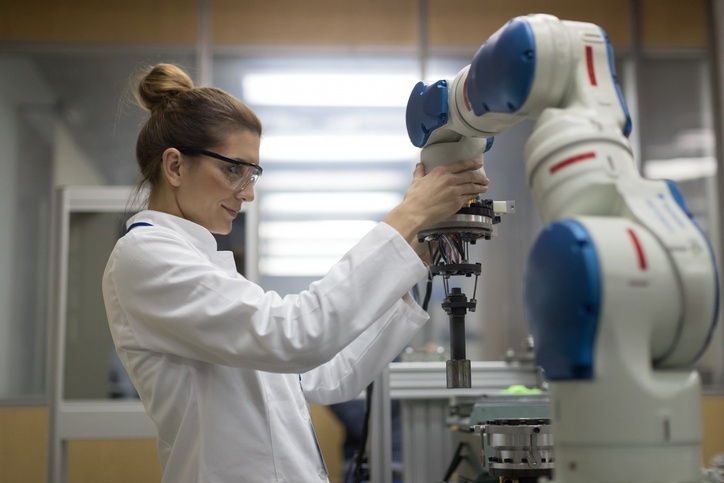 First developed by General Motors in the mid-1990’s, collaborative robots, also called cobots , are designed to work with humans in manufacturing, warehouses, and other settings. With the development of new technology and applications, they’re gaining popularity. “Currently, collaborative robots only make up about 3% of all robot sales. This number is expected to jump to 34% in 2025” according to the Robotic Industries Association (RIA).